Happy Wednesday! It's time for another Card Concept Challenge, please scroll to the bottom of this post for the inspiration photo. I had so much fun playing today! I pulled out a digi set from Verve Stamps called Lucky Day and paired it up with Julee's current Mojo Sketch. I recently ordered several goodies from Shimmerz Paints and I was dieing to play with them again, so today was a great time! For the main panel I did some Smooshing with 3 different Shimmerz goodies (Celery Shimmerz, Pining For You Creameez, Elfin Magic Vibez). The Vibez and Shimmerz are already wet so I just added them to my plastic baggie with a paint brush, but the Creameez needed water added so I used a paint brush to wet the bottle and added to my plastic then spritzed it for more wetness. After I had the panel just the way I liked it I went back and spritzed on a bit more of the Elfin Magic Vibez. I printed out 2 cups, the first one (the handled mug) was printed on a laser printer. I added a sheet of Green Foil and ran it through my laminator... perfectly foil-y and shimmer-y!!!! For the 2nd cup I colored it with some Copics adding a few "white dots" with a Sharpie Paint Pen (I forgot how much I LOVE this pen!!!!). I was a little worried the sentiment might not show up well enough so I printed it off on some vellum and used a FIGURE OF SPEECH die. I added a few Gold sequins just for some contrast. I am so in LOVE with this card!!!! 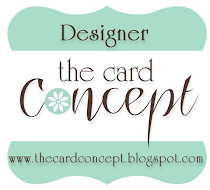 Be sure to pop on over to the Card Concept blog to see what the rest of the team has come up with, and don't forget to get yourself some inky time and then link up your own creation! Happy Wednesday! It's time for another Card Concept Challenge and this time the theme is PINEAPPLE PARTY (scroll down for the graphic). I don't have any pineapple stamps, so I went with the color palette here. The stamp & die set are called JUST BECAUSE (Concord & 9th). There are so many great pieces to this set, it was really hard to keep this Clean & Layered! The layout is the current Mojo Monday sketch from Julee. It's kind of hard to tell in the photo, but I stamped the "just" and the "Because" is a die from the set. Be sure to pop on over to the Card Concept blog to see what the rest of the team has come up with, and don't forget to get yourself some inky time and then link up your own creation! KCC: #451, Lotsa & Lotsa layers! This is a great set with fantastic sentiments! I paired it up with Julee's Mojo sketch. I really wanted the "open part" of the cup to have this floral paper but piecing it seemed like it'd be a pain so I tried using some black EP. Several months back I'd seen Amy Tsuruta post something fabulous she made and she used WOW! Embossing Powder and their Clear Embossing pad, so I ordered some (I was in dire need of a good embossing pad!). Holy snickerdoodles, it is the bestest (by far) Clear embossing pad!! I stamped that cup on the floral paper with clear embossing ink and then added some black WOW ep... it covered those flowers perfectly!! After stamping and embossing I was able to just cut it out and pop it up with dimensionals. I just LOVE the pink & green color combo! The paper pad is from Faith Illustrated (I absolutely LOVE their stuff!!!!). CLC: A shot of Coffee & a boost of Mojo! and let's just say that I flipped it upside down. I used the CAFFEINATED CUPS stamps & dies along with FIGURE OF SPEECH stamps & dies (all from Reverse Confetti). I was trying to keep with a more Fall color palette, so I grabbed the EVERY LITTLE BIT paper pad (also from RC) because the colors are deep and rich and just yummy... but then I went a little crazy with the pink, lol. For the "coffee" here, I stamped the "swirly" using WOW Embossing Pad along with some super pretty Nuvo Copper Blush Super Fine ep. This really was a "quickie" card, the dies doing most of the work here. Sometimes a girl just needs something super cute, super quick! The fluffy pink bow on the top and a few rhinestones on the side for some dimension & texture... voila!!! Thanks for popping by and visiting, hope you have a wonderful weekend! I just LOVE, LOVE, LOVE playing with Christmas stamps & papers & silver and bells... oh my! Oh, sorry! hehehe. Today the Krafty Girls & Guest are inking up a couple more cuties from Annie... HOLIDAY SISSY & HOLIDAY LIL BRO. I really love using Olive Green for Christmas, especially against a nice deep, rich red! AND pairing them up with some silver... PERFECT!!! If you look carefully at the top photo you can see I added some "splashes" of Stardust pen to her garland boa, and some little speckles on the white. The sentiment is also stamped in some Encore Silver Metallic, though it doesn't look so shimmery here. KKS: Let Your Light Shine! Hey yall! Didn't I tell you today's peek would be brilliant?!? hehehehe Today the KRafty Girls are inking a fun new sentiment set called LET YOUR LIGHT SHINE. I just love sentiment sets that let you piece the sentiment together... so many possibilities! For today's card I used this week's Mojo Monday sketch and played a little more with my Creative Chemistry class! Remember my new bookmark earlier in the week using SANDY TOES? Well I used the same technique here but I used a couple of purple and a couple of blue Distress pads instead (Victorian Velvet, Stormy Sky, Milled Lavendar and Tumbled Glass) then edged it with some Hickory Smoke Distress. I just LOVE the way it turned out!! "Star" is stamped in black pigment ink and embossed using black EP. I stamped the star gems from the set and colored them with Copics then filled in the outer edge with a Gold Wink of Stella pen! That's it from me for today! Happy Hoppin' and hope to see you later today at the Release Party!! Hey yall! It's PEEK WEEK! First of all, I can't believe it's been a month since I've posted :( Shame on me, but life has been a bit cra-zy!! Ok, back to the cute stuff... today the Krafty Girls are peeking a couple of images/sets from the A-mazing Annie! This one is called TEACUP FAIRY. I used this week's Mojo Monday sketch to get me started and kind of had my way with the sketch a bit. I had a little fun with some paper piecing on the cup, and colored the rest with Copics and Wink of Stella!! (LOVE, LOVE, LOVE that stuff!) For the sentiment I used some Pink Ombre Ink... so fun on sentiments! Well since I feel like I've nearly forgotten how to stamp, I kept it simple but I promise the rest of the Krafty Girls will knock your socks off!! Thanks for popping by, see you tomorrow for another fab peek! Welcome back to day 2 of Krafty peeks! Today we are inking up a super-d-duper adorable set called, EWE ARE AMAZING!!! I used the set to make a thank-you card for one of my fave girls!! I used last week's Mojo sketch. I used some water color crayons, water and a paint brush for the background. I was seriously too lazy to walk back and forth so I just stood over the sink with the paint brush and added more water as needed!! Wonder if hubby will install a sink in the loft?? I fussy cut the sheep and popped him up. For the clouds, I couldn't find my HUGE collection of felt (the one that's rarely been used!) so I grabbed a scrap of batting... perfect! Lol Well this lil' cutie is ready for an envelope and then an adventure through the post office! Thanks for popping by, see ya back here tomorrow! Same bat time, same bat channel! Happy Hopping! KKS: Do you Hear What I Hear? They're HERE!!!!! All of the BRAND NEW Kraftin Kimmie CLEAR stamps are in the store and ready for your shopping pleasure!!!!! Today I inked up another of the cuties from the Angel Voices set and this time paired it up with last week's Mojo Sketch & another new Christmas pad in the Krafty Store, Cozy Christmas (MME). I just love this adorable set! Well that's it for me, playing with these NEW clear stamps this month has been a blast!!! HAPPY July peek day!!!! Today the Krafty Girls & guests are inking up a new sentiment set from Becky called, SWEET SUMMER SENTIMENTS! For my card today I paired up one of the sentiments with this week's Mojo Monday sketch. Just a sweet, basic card with a sentiment that's perfect for DD!! The paper is from a new pad I just got from the Krafty store called, Homegrown by Echo Park. Hope you've enjoyed today's peek hop! 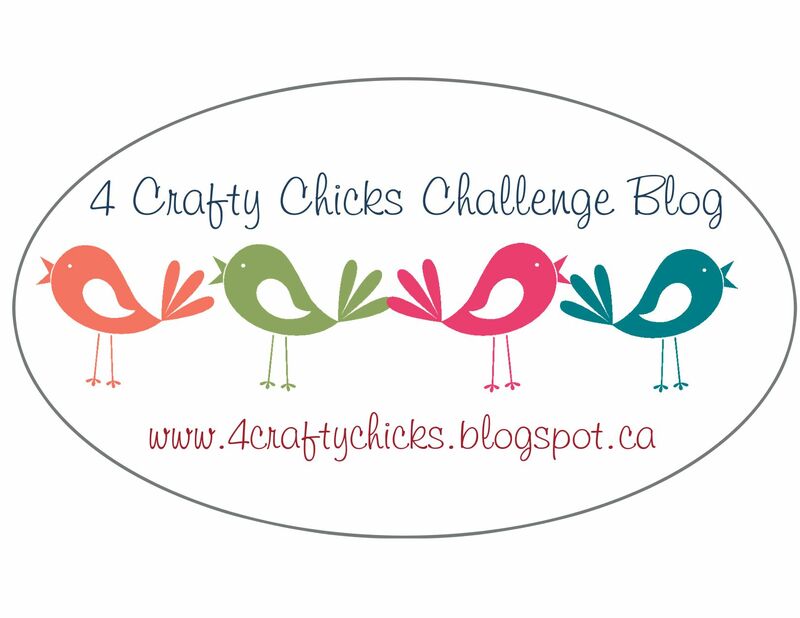 Be sure to leave a little love on each blog for your chance to win some Krafty Goodness!! See you back here tomorrow for more peeks!!! Hey yall! Back for another day of Krafty peeks!!! Today we are inking up a NEW and uber-adorable Cheryl set called BELIEVE in FAIRYTALES! Isn't Lucas just the sweetest looking thing?!? I grabbed the current Mojo Monday sketch for today's card. Can you see the little "shaker froggy"? Love him hiding in that tag! And of course I smudged the ink just as I finished the card and went to photo it, sorry! Be sure to hop around and visit all of the Krafty Girls and Guests and leave a little "love" for your chance to win! Thanks for stopping by, see ya back here tomorrow for the June Release Hop!! OH! And since today is ANYTHING GOES CHALLENGE day, don't forget to head over to the Kraftin Kimmie blog to link up your Krafty Kard!! Happy hoppin!! FINALLY!!! The February release is LIVE in the Kraft Store and ready for shopping!!! For my card today I used SQUISHY HUGS and played around with the Spotlight Technique!!! The layout for my card is last week's Mojo Monday Sketch. And once again, I needed to make my sentiment "fit", so I chopped it a bit and it fit fabulously! Thanks for popping by, and thanks for visiting during peek week!! Have fun hopping along and visiting with the Krafty Girls!! Happy Peek week!!! Wahoo! Hold on to your latte and get ready for a few days of FABBY Krafty peeks! Today the Krafty girls are inking up a couple of new fairies from Annie! This is Sparkle Fairy, I colored her up with some pretty pale purple and dark blues with LOTS of Sakura Stardust pen for lots of SPARKLE! Love that shimmer!! For my layout I used this week's Mojo sketch. That really is a purple button up there, not sure what happened to the color, but that silver twine just seemed to help the shimmer pop even more! Well that's it for me, you've got some hopping to do..